A question from a novice. 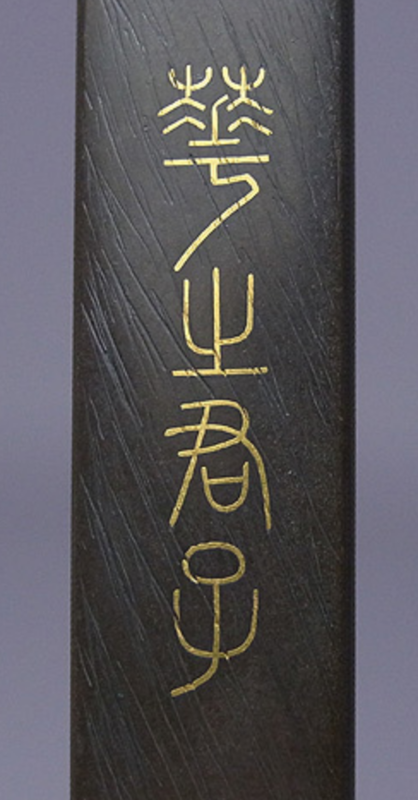 Could anybody enlighten me the reason of the price of 1.500.000 yen for this kodzuka by Teijo (without certificate) fetched recently on Japanese online auction? Any idea what is written on the back? Because if it's shoshin, that's what they go for? I see your point guys. 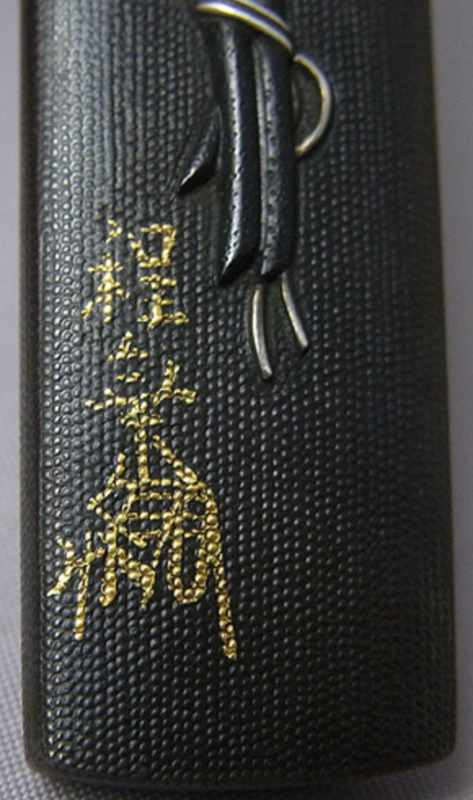 Has anybody seen kozuka by Teijo signed on the front side? In gold? Without usual Goto reserve? My question is, if one bidder consistently overbids everyone, Whi bother bidding at all? Now then. The above transactions all occurred Sunday morning (04/03/16) and all were won by the same individual, who has been winning multiple auctions for several months now with the exception of the last one which fell to someone else after about a two hour bidding war and is also the item mentioned in the above thread. 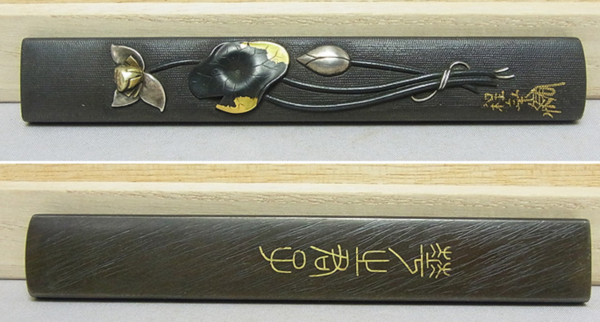 I have never seen a kozuka 'signed' by Goto Teijo in gold on the omote and I have grave reservations about it's legitimacy. 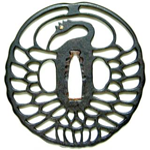 Mainline Goto did not advertise in this manner as they were carvers/assayers to the Shogunate and any such 'mei' would most probably be an attribution from someone else. I cannot read the ura and pehaps there is some reference there. From what I recall none of the above items have origami. To me, this is someone with a bit too much money aligned with a bit too much ego and pride making risky/poor decisions which reminds me of someone running for President here, but then I digress. PS: there's a little pun included above for those who follow Yahoo!. Thank you, Pete! And interesting investigation on Yahoo! I wonder was it technically possible to add the gold signature after the kozuka was produced, or is it a part of the initial design? Of course it is possible. Ford could do it with his eyes closed. I'm flattered by Pete's confidence in my abilities and while I'd agree that adding such a mei post production would be relatively straightforward I would have to keep at least one eye open. 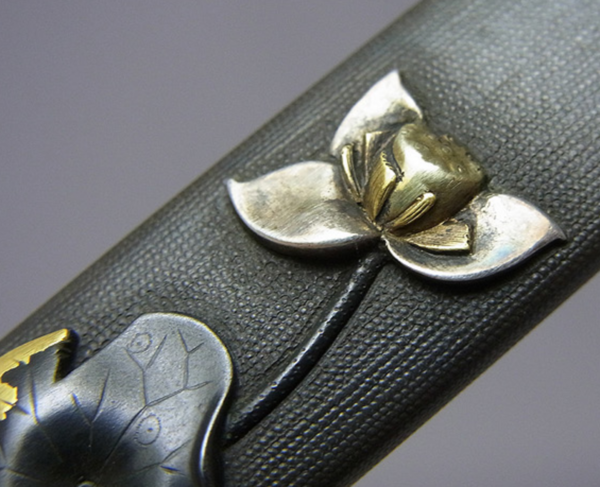 More revealing, to me, is the poor quality of the nanako as shown on the close up of the flower, as well as the very weak carving of the veining on the lotus leaf. The flower itself is similarly rudimentary. No student of the Goto had anything at all to do with this kozuka. Ford, I agree with your assessment fully. The Yasuchika was a steal. Both fuchi kashira sets were great. Thanks for sharing Pete. See you in Chicago. The Yasuchika was very nice. I love the bat fuchikashira. 1,500,000 for that supposed Teijo? Even if it were to be genuine, would it really be all that special?